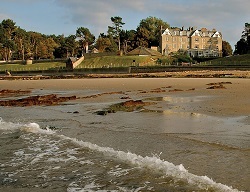 Two great hotels from the same Crerar hotel group are located within the county of Morayshire. Both the Golf View Hotel & Spa, which is only footsteps from the beautiful coast line, and the Eight Acres Hotel offer a range of spa facilities beauty treatments to leave you feeling completely refreshed and your batteries recharged. Spa days can be perfect if you’re on your own or with a group of friends. With so much to do in each spa you will be sure to leave feeling on top of the world and already planning your next visit. A spa day in Morayshire is ideal if you’re looking for a day in the spa or maybe a morning exploring and afternoon in the spa. With a vast area to be discovered and many tourist trips to be undertaken’ the only problem you may have is deciding what to do and what to miss out on. For any further information about a hotel, spa day package or to check availability, please get in touch as we are always happy to help.